Q. Is Posh Eyes a British Company? A. Yes! Posh Eyes is a division of EyeCare Services Ltd. - a registered Company in England and Wales - and customers have the protection of UK law. Remember, not all companies with .co.uk websites are UK registered companies, and hence you will not be protected by UK law in the event of a problem with a purchase from one of these sites. We display our Company information, including our address (not a PO Box as you will see on many sites) and telephone number (geographic number not an 0845 or 0871 number) at the foot of each web page to give you added confidence that you are purchasing from a reputable company. Under UK Law, company information (including VAT number and company registration number) now has to be displayed on each site's web page. Q. Who supplies your contact lenses? A. All our contact lenses and contact lens solutions are supplied directly to us from the original manufacturers based in the UK. We do not source contact lenses from outside the UK or from third parties. Q. Can I read comments made by previous Posh Eyes' customers? Q. Why must I provide details of my contact lens prescription to you? A. In the UK, contact lenses can only be sold under the general direction of a Medical Practitioner, Optometrist or Dispensing Optician. To ensure that you receive the appropriate eye care, our Dispensing Optician needs to confirm your contact lens prescription with your optician. Q. I would like to try different lenses to the one's on my contact lens prescription. What should I do? A. Opticians often encourage wearers to move to new lens types of different compositions without refitting or re-prescribing the new types of lenses. This can occur when new "improved" versions of existing lenses are launched, and the original lenses discontinued. Posh Eyes adopts the same approach, although we recommend seeking advise from your optician before purchasing a different type of lens. Q. Will details from my eye examination prescription be OK rather than from my contact lens prescription? A. We have to make sure that we supply you with the correct contact lenses, and hence we must have details of your contact lens prescription, not your eye examination prescription. Q. I am currently on a monthly payment plan with my optician but find it very expensive. I'd prefer to pay to have my eyes checked by a local optician, and buy my lenses from Posh Eyes. Can you help? A. Yes, we have alliances with opticians across the country who will happily conduct a contact lens check for you, and issue you with an updated contact lens prescription. Please contact us for an alliance optician in your area. Q. When will my contact lenses arrive after ordering? A. All our orders are despatched by Royal Mail and you should allow 7 working days for delivery. Q. What are the delivery options and charges? A. At Posh Eyes we believe in fair and transparent delivery charges. Standard Delivery in the UK is 2nd Class Royal Mail, which is free of charge for orders over £50.00. Special Delivery (insured and tracked) is £8.70..
For orders under £50.00, delivery is £3.42 for 2nd Class Royal Mail..
Overseas orders are delivered by Royal Mail International Signed For or Tracked service and charges depend upon the destination and weight..
Q. What if I am not in when the goods arrive? A. Your parcel will be kept at your local Post Office for a period of 7 days for your collection. Q. How will I know that my credit card details are safe? A. We use special encryption software to ensure your credit card details are communicated safely to us. Once your order is processed we do not keep your credit card details. Q. Will you pass on my details to other parties for marketing purposes? A. No, not under any circumstances. Q. Can I return my contact lenses to you? A. If you have simply changed your mind about your order and you wish to return your goods, then you can do so provided you inform us within 10 days from receipt. Once you’ve informed us of your decision to return goods, you have 28 days to do so at your own expense. Lenses have to be in their original, unopened boxes, and in "As New" condition. Q. Do you accept NHS and Eyecare optical vouchers for my contact lenses? A. Yes. On your NHS Voucher, please complete both Patient's declarations (Part 2 on the front and Part 4 on the back) and mail the voucher to us. We must receive your original NHS or Eyecare voucher for us to be able to process your claim. Q. 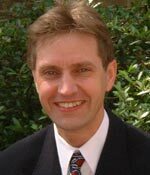 Whom should I contact if I have a question about my eye health? A. It is important that you have a contact lens consultation with your optician every 6 or 12 months. If you have a question regarding your eye health after you have purchased your contact lenses, you can contact us or alternatively your optician. If you experience any eye irritation when wearing your contact lenses, remove your lenses immediately and contact us or visit your optician. Q. Why do you offer glasses as well as contact lenses? A. Opticians advise that eyes benefit from an occasional break in contact lens wear. You can purchase top of the range designer glasses from us. Q. Can I order contact lenses without registering first? A. Yes. You can browse and order on our website without having to register. Q. Do you need to contact my optician before you send lenses to me? To make doubly sure we send the correct lenses to you we contact your optician to verify your prescription details. We also confirm when your next contact lens check is due so that we can remind you accordingly. Q. When do you take payment for my contact lenses? A. Unlike many other companies, Posh Eyes takes payment for your contact lenses only when we have confirmed your contact lens prescription details with your optician, and your lenses have been despatched. We believe that payment should only be made when your lenses have been despatched, not before. Q. How do I find more information about contact lenses? Q. Who supplies your frames and lenses? A. All our designer frames are guaranteed genuine as they are supplied directly to us from the UK brand licence holders. Our lenses are manufactured and fitted by specialist optical laboratories in the UK. Unlike many other online glasses retailers, we do not source frames or lenses from outside the UK. Yes, we encourage our customers to comment on their purchasing experience at Posh Eyes. You can read their impartial and unedited reviews at the shopping site Shopzilla, and at the Review sites reviewcentre.com & Trustpilot. Q. Do my glasses come with lenses? A. Yes. All our Top Name Designer glasses come with lenses which have a scratch-resistant coating as standard. Q. Can I use the my contact lens prescription for ordering glasses? A. Your contact lens prescription is different to your prescription for glasses. You need to have had your eyes tested within the last 2 years to order your glasses from Posh Eyes. Q. Where can I obtain my Pupillary Distance (PD)? A. Please ask your optician to measure your PD when you have a sight test. The optician who supplied your last pair of glasses will also have your PD measurement. Alternatively you can send in an old pair of glasses to us from which we can measure your PD. Q. When will my glasses arrive? A. We will deliver single vision full-rimmed and semi-rimmed glasses within 14 days. Single vision rimless glasses will be delivered within 21 days. Prescriptions requiring specially made lenses (including varifocals) will be delivered within 21 days. Q. Can I return my glasses to you? A. If the glasses are faulty, we will of course replace them free of charge or provide a full refund. Q. Do you offer prescription sunglasses? A. Yes. We we can fit either prescription or non-prescription sunglass lenses to all of our glasses frames. We can also fit the latest photochromic lenses which darken in sunlight. Q. Do you accept NHS optical vouchers an Eyecare Vouchers for my glasses? A. Yes. On your NHS Voucher please complete both Patient's declarations (Part 2 on the front and Part 4 on the back) and mail the voucher to us. For Eyecare Vouchers, simply send the voucher to us. 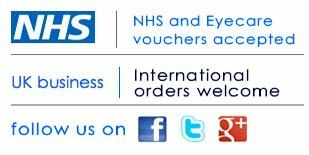 We must receive your original NHS or Eyecare voucher for us to be able to process your claim. Q. Can I try a frame before I purchase? A. Yes. Please tick the "trial" box on the ordering page if you would like to trial a frame. Your trial frame will be supplied with lenses of no power. Q. Do you supply designer glasses from other manufacturers in addition to those on your website? A. We have access to a wide range of designer brands and will be happy to provide a quote for a particular pair of glasses. Q. I wear bifocal/varifocal glasses. Can you supply these? Q. I have high astigmatism. Can I still order my glasses from you? A. Yes, we can supply specialist lenses for high astigmatism. Please contact us for a quote. Q. I would like to order glasses with lenses of no power (known as Plano Lenses). Can I do this? A. Yes, simply choose your frame and select "+0.00 (Plano)" for your lens measurements. At checkout enter "none" when asked for Details from your Prescription. Q. Can I order thinner, lighter lenses for my glasses? A. Yes. You can order thinner lenses (with an index of 1.61), extra thin lenses (with an index of 1.67), or ultra thin lenses (with an index of 1.74) . Please feel free to call if you would like advice on our lens options. Q. What make of lenses will you fit in my glasses? A. Our glasses are fitted with lenses from a number of different manufacturers, all of which meet our stringent quality standards. These include Essilor (supplier of Varilux Lenses), Nikon, Zeiss, Hoya and WLC. All our lenses (including anti-reflection coatings) come with a one year warranty. Q. I would like to purchase designer glasses but can't afford top designer names. Can you help? A. Our budget designer range starts at just £15.98. The range offers quality designer glasses at prices affordable to all. Q. I would like to put new lenses into my existing frame. Are you able to help? Q. When do you take payment for my glasses? A. Unlike many other companies, Posh Eyes takes payment for your glasses when your glasses are sent, not before. Q. How can I find more information about glasses?